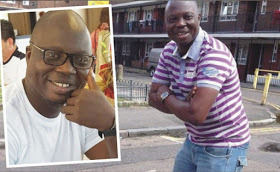 Comedian and filmmaker Bolaji Amusan aka Mr Latin has said that he never thought of doing social media skits because he's a mature comedian. The veteran stressed that the reason for his decision lies in the fact that there are some things left over for the younger generation and online skits are one of them. "I never thought of engaging in Instagram skits because I'm a mature comedian and have been in the industry for many years, which is the time to give the younger comedians space to explore their talents. "I will advise coming comedians to be true to themselves and to be original, they should not try to imitate someone." One major improvement I would like to see in the film industry is that we are preparing to produce more movies, so our films will be accepted internationally, "he said. Sharing some of the challenges he faced when he started his acting career, Amusan explained that even his parents never supported his career from the start. "I had challenging moments, because when I started my career it was difficult for people to accept me, even my parents never supported me in my choice of profession, but after two years they were proud of me when I started being popular to become, "he said.